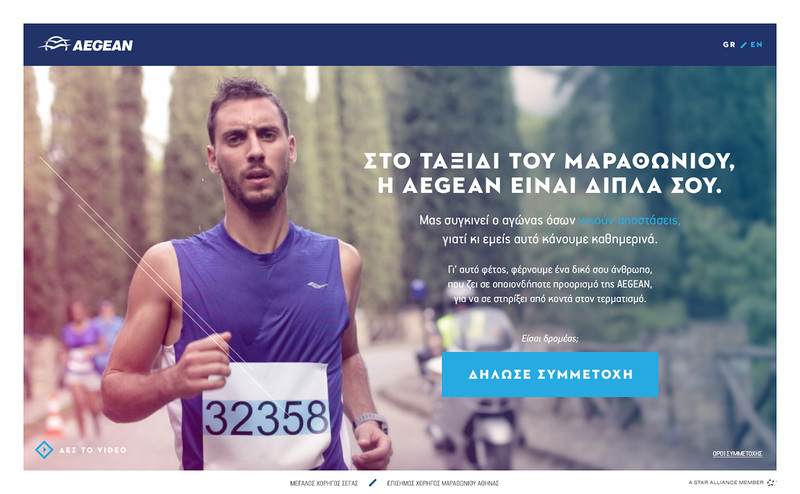 Aegean Airlines, invited runners of the Athens Marathon to enter a competition that would get one of their loved ones who lives far way, to support them in person at the race. 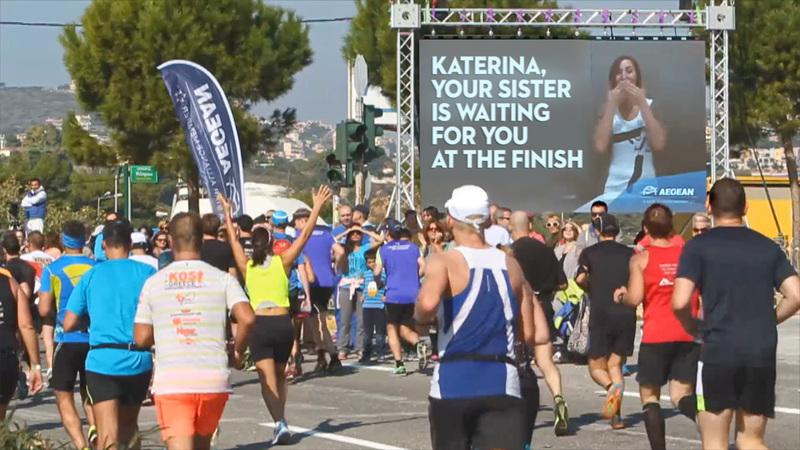 At the most difficult point of the authentic route, a digital billboard was set up, showing encouraging messages for all the runners. 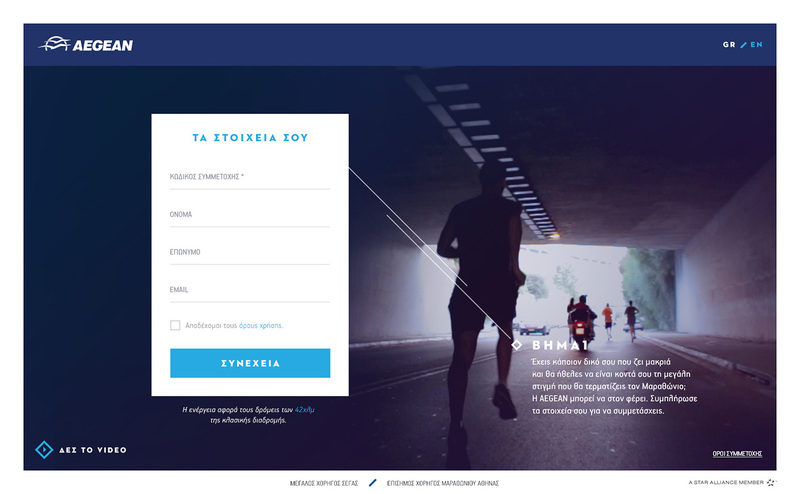 What the 10 lucky winners of the competition didn't know, was that a surprise video would play automatically as they approached, informing them that their loved one was waiting for them at the finish line. 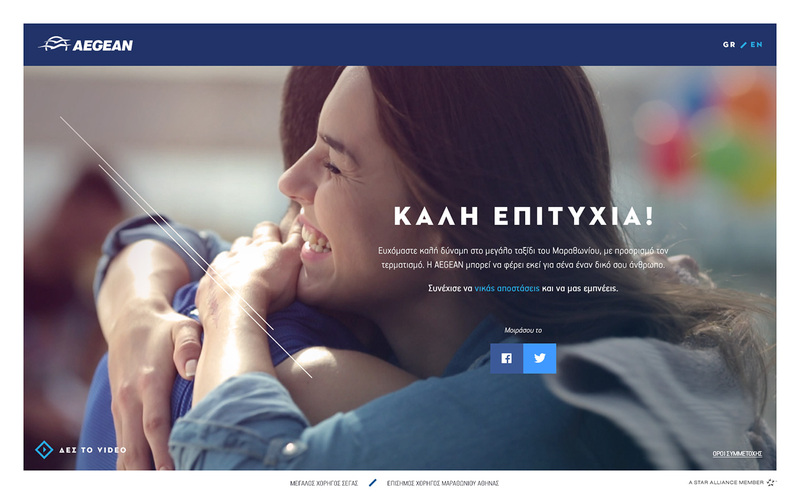 That gave them the extra strength they needed to carry on and created a moving experience showing how Aegean, like the runners of the Marathon, eliminated distances in order to bring people closer to what they love the most.